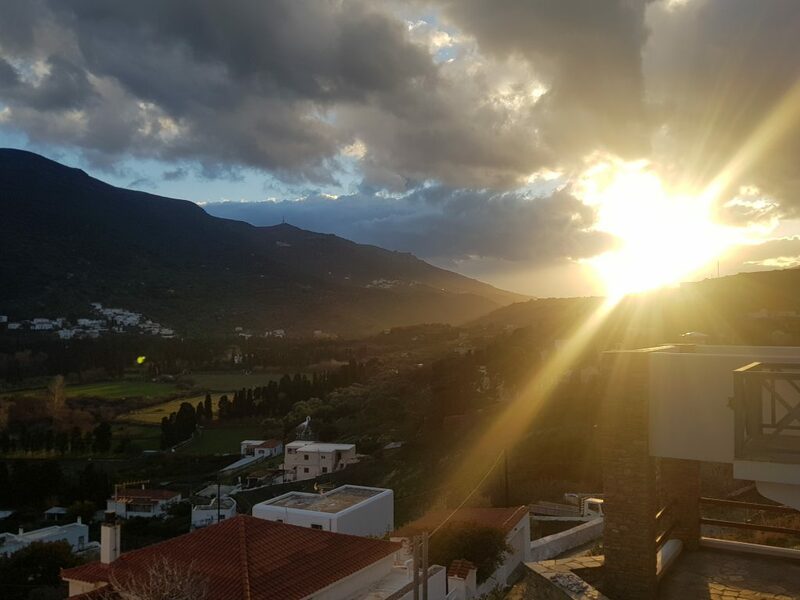 The second largest of the Cycladic islands. It is also the closest to Athens, making it the easy choice for a visit. 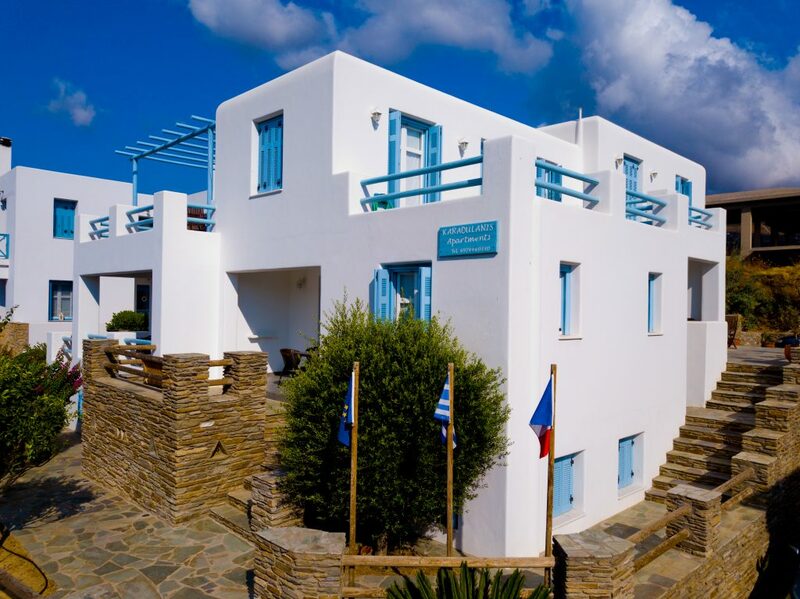 The best places to stay in Andros are located near the town center. There we have two location for your staying. Both are very quiet and calm places with wonderful and relaxing view. We live at this place so will be there to help you any time. At our location we offer very useful information , about many hiking paths, written from hikers that they have join our apartments. Andros has so many sources . The waters run from the rocks – so the island of Andros is much greener than the other islands. It has natural forest, wildflowers, many citrus trees and olive groves. 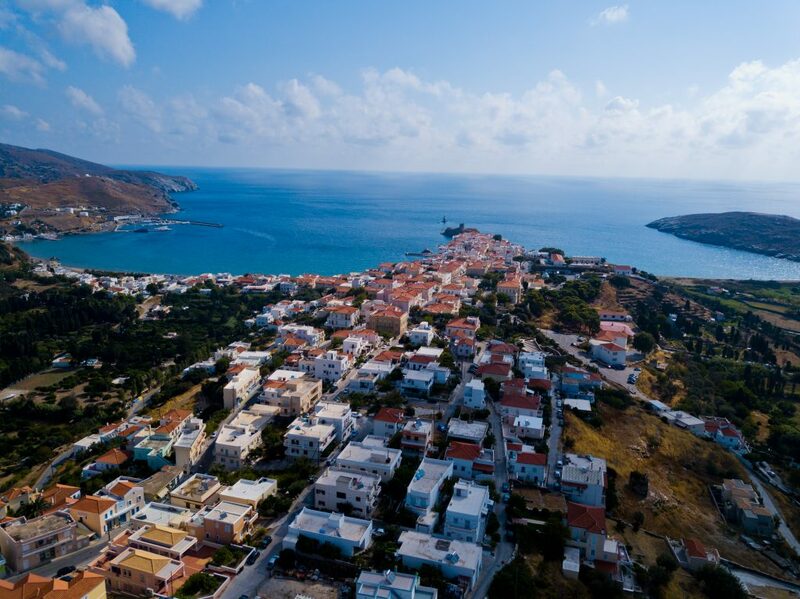 Besides the green land, the water that makes it stand out, Andros is also rich in history. Fresh products, neoclassical mansions and many walkers who are the main visitors. Visitors are looking for a beautiful sandy and lonely Cycladic beach that the island provides generously. This island has propably the best beaches in Cyclades islands. This island has paved paths leading to cool green valleys, waterfalls, wildflowers as well as interesting archaeological sites. As for the lovers of the beach, Andros has more than a hundred beaches for all requirements. Many organized beaches with bars, deck chairs and many in isolated bays that you can reach only if you have 4 × 4 or if you rent one of our boats. In our apartments you do not need a car for your traveling on the beautiful pedestrian street as our two locations are very close. Andros is also a great destination for walkers, swimming, and all kinds of exploration, as well as bird watching. Enjoy your visit in our island.